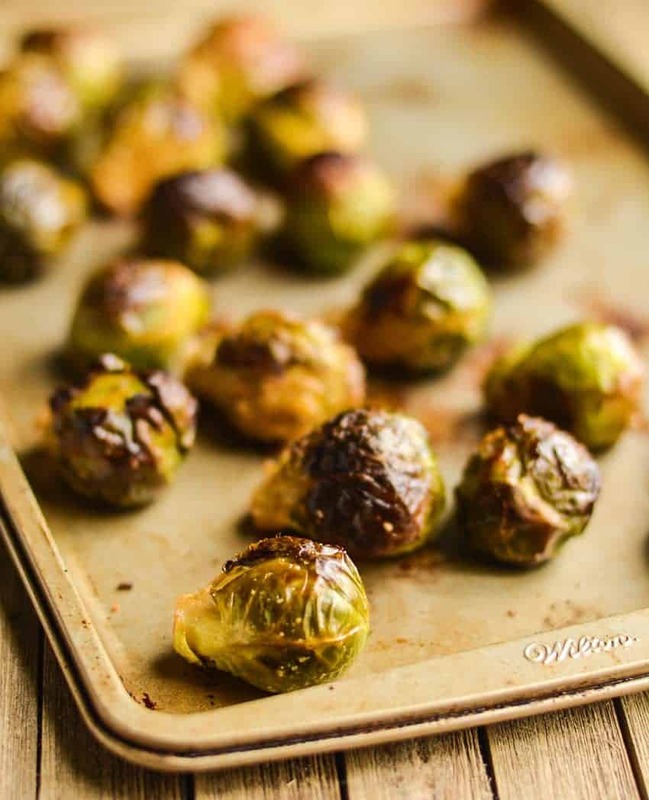 Oven Roasted Brussels Sprouts Recipe is a post that contains affiliate links to products that we love. If you make a purchase through these links we might make a small commission. 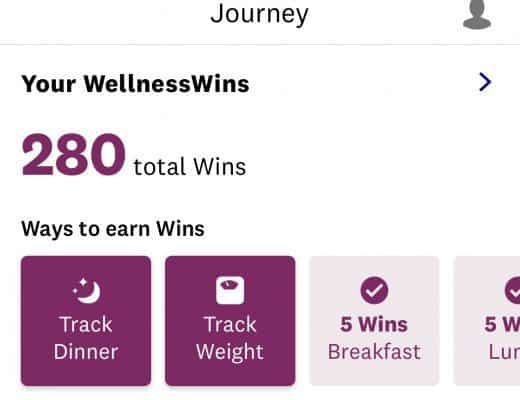 Updated with Freestyle Smart Points | Just 3 points per serving! I think I have found a new vegetable to fall in love with. Oven Roasted Brussels Sprouts (I thought it was Brussel, and I totally had to look it up) was so easy and tasted amazing. A few friends were talking at work about roasting vegetables, something I had never tried. 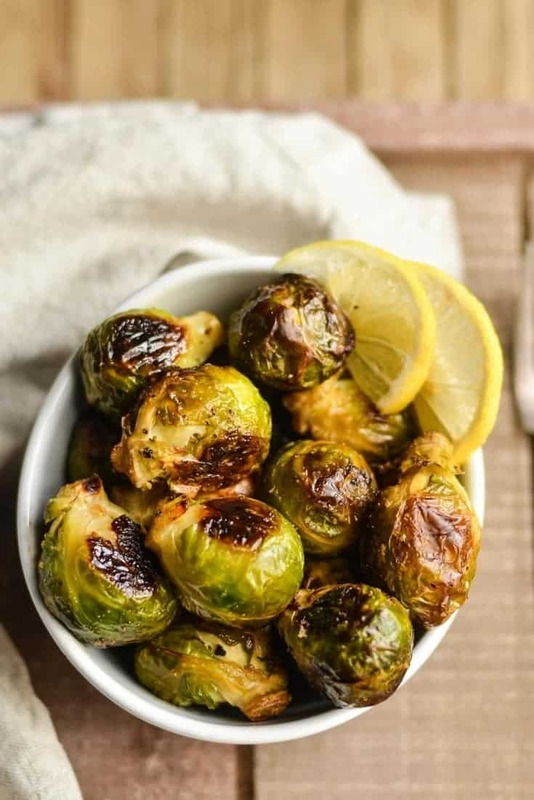 When I asked them how and what they roasted, Brussels sprouts was mentioned and I cringed. 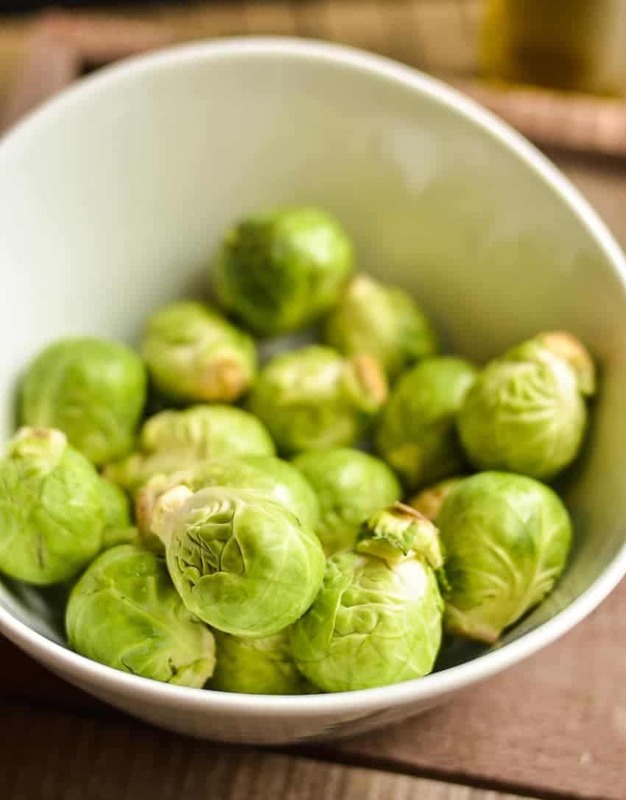 My only experience with Brussels sprouts had been frozen, boiled to death cafeteria food. It was a vegetable my parents never served when I was growing up and I didn’t think I liked them. Well, I didn’t like the boiled version, but I love the roasted version. Luckily, last week at the Farmer’s Market they were selling 1 lb bags of fresh Brussels for $1. 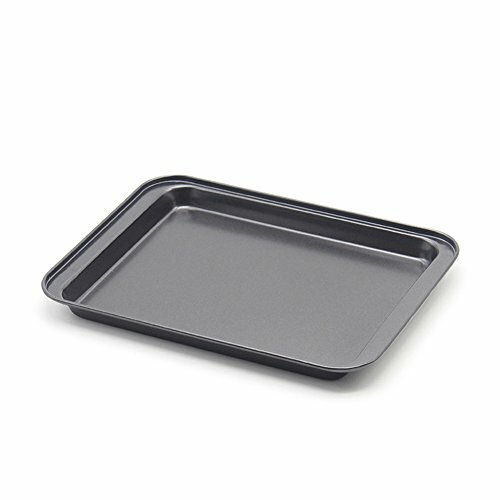 A huge bargain and a great way to test out a new recipe. It took me less than 5 minutes to prep the recipe and cooking time was less than 30 minutes. 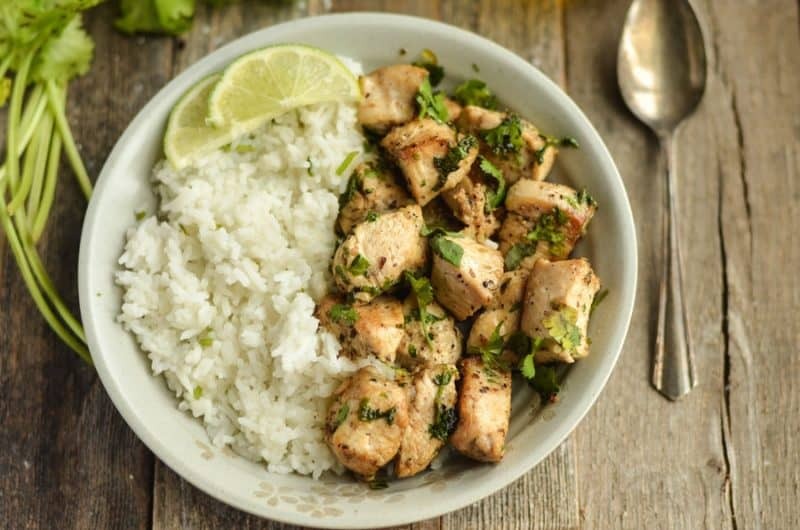 Easy and delicious! 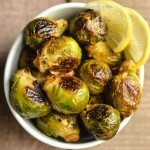 I am definitely a new Brussels sprouts fan convert! I had to stop myself from eating all of them. I ate them hot and cold, as a meal and as a snack. I really couldn’t stop eating them. We may even plant them in our garden this year. I am anxious to try roasting other vegetables. Once it warms up, I bet they would be great on the grill. Have you ever roasted vegetables? 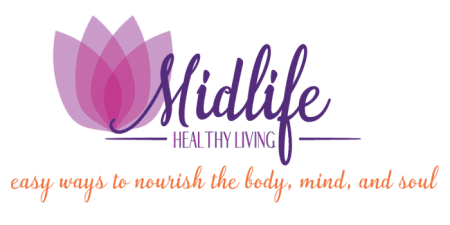 I’d love to hear your suggestions! You can easily print or save this recipe by clicking below. For each serving of this recipe you’ll track 2 Smart Points for the olive oil, if you use 3 TBSP of olive oil I would bump it up to 3 points per serving. 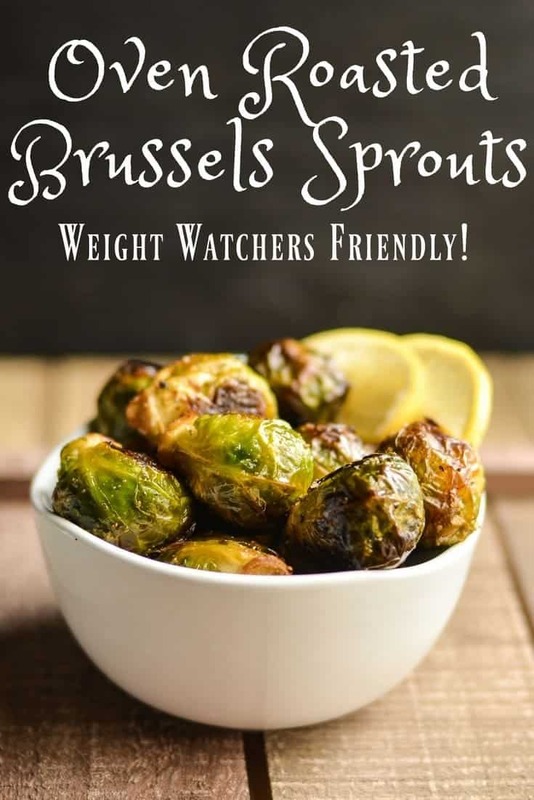 You will need to wash and cut the stems from your brussels sprouts. Some people take off a few layers of leaves. I let mine on. Pour Olive Oil over the Brussels Sprouts. Sprinkle with salt and toss well. Sprinkle with pepper and toss well. 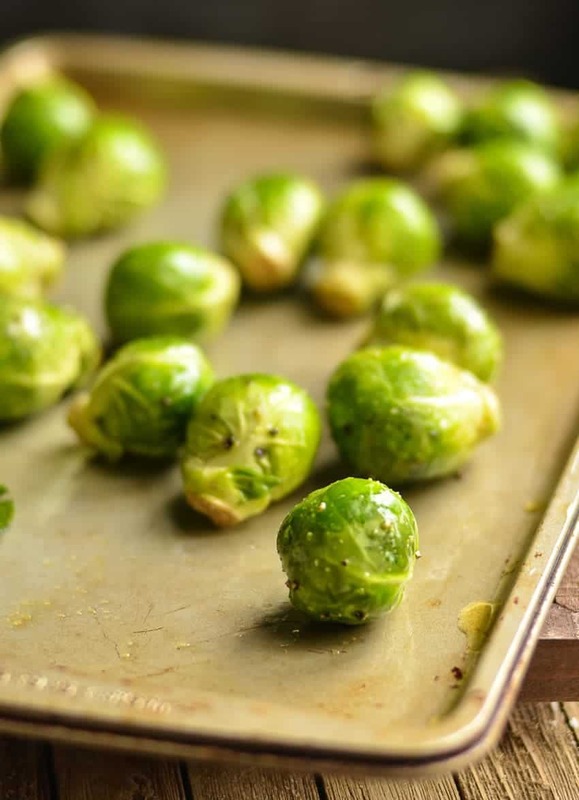 Spread Brussels Sprouts on a cookie sheet. Cook for 10 - 12 mins and turn the brussel sprouts over. Thanks for the recipe. It looks great. Shouldn’t that be “Sea” Salt in the recipe? 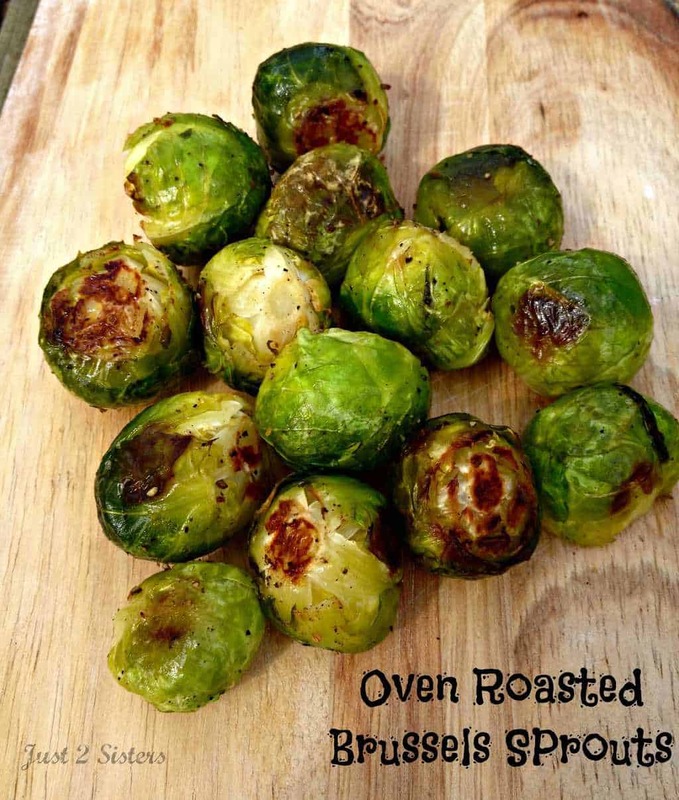 Love oven roasted sprouts! Also raw sliced in a salad. Can you use frozen brussel spouts? I love brussel sprouts. Thank you. 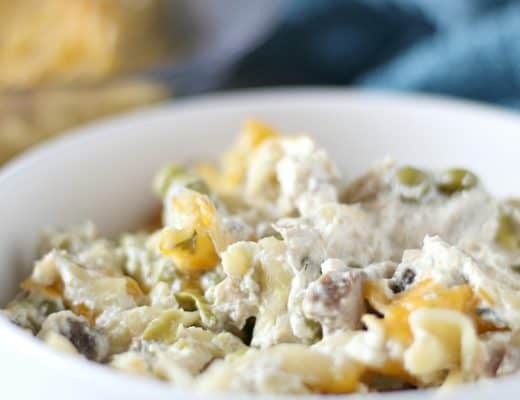 Unfortunately, frozen vegetables won’t work for this recipe. I absolutely love Brussels Sprouts. I think they are a highly misunderstood vegetable. Thanks for sharing your recipe on Sunday Dinner Bell. 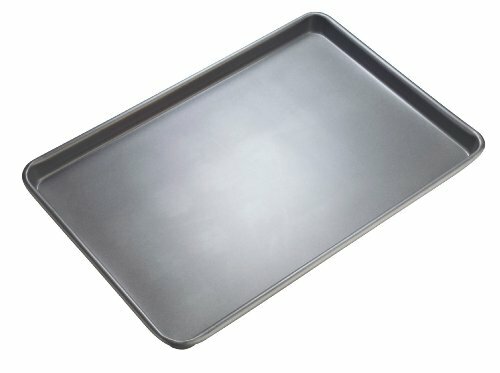 I always hated them until I discovered roasting them! I love to use some balsamic vinegar in addition to your ingredients.